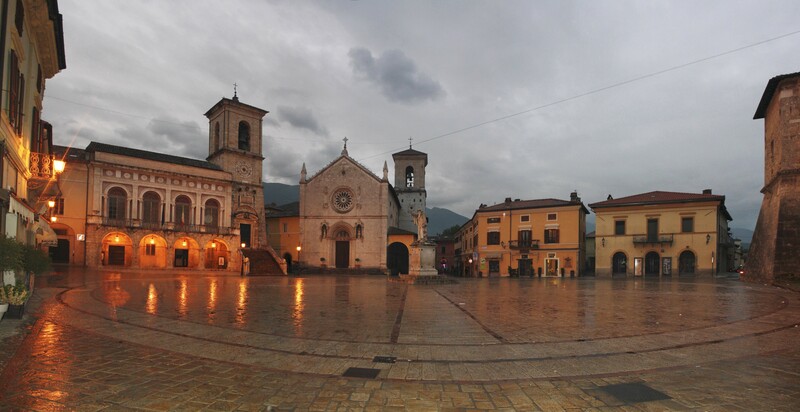 Situated at 604 meters above sea level, the enchanting borgo (village) of Norcia is the largest town of the Nera Va lley. The origins go back to ancient times: already during the Punic wars between the Romans and the Phenicians, Norcia was very important as has been recorded by Roman historians. Upset by the Longobards and then by the Goths, it later recovered and became an active town during the Middle Ages. Its historical treasures have been damaged for the major part by the very frequent earthquakes which during the centuries destroyed the town. However, thanks to a very meticulous restoration, the town boasts its original structure, with its splendid Medieval architecture. 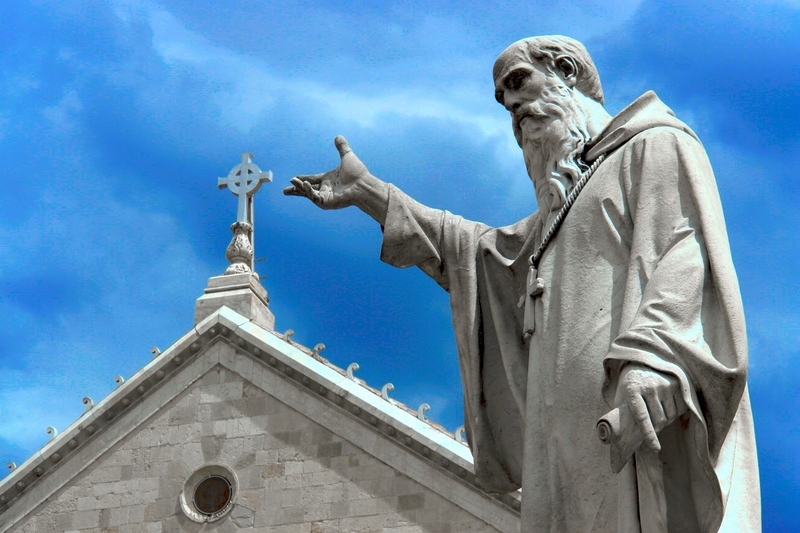 Norcia is known to be the birthplace of Saint Benedict who was the first monk of Christian faith and the founder of the Benedictine order. 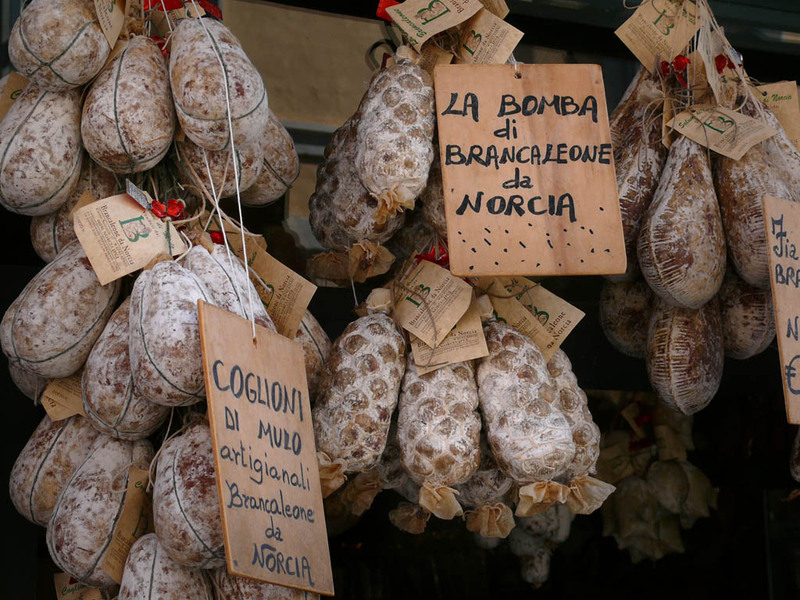 Norcia is also famous for its master butchers who produce superb salami and cured meats. The area also supplies highly prized truffles and Castelluccio, on the Piano Grande, produces the finest lentils in Italy.